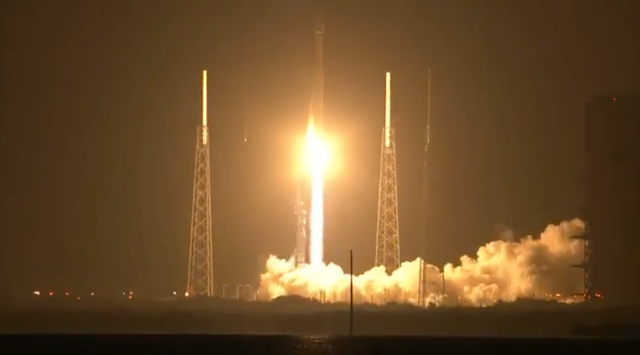 One year after their launch from Cape Canaveral Air Force Station at 4:05 a.m. E DT on Thursday, Aug. 30, 2012, NASA’s twin Van Allen Probes have already fundamentally changed how we understand the Van Allen radiation belts above our planet. Data from the probes have already led to several significant discoveries, some made just days after the special twin spacecraft soared into orbit. 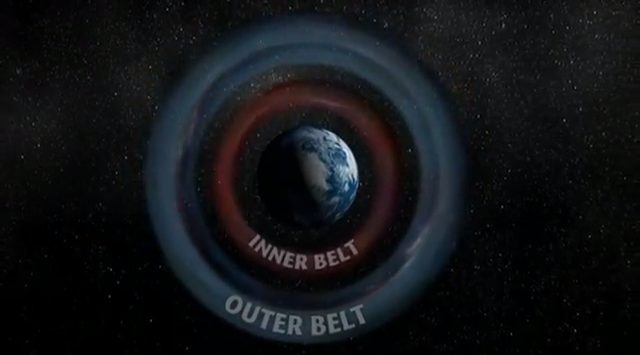 The mission has answered one long-standing question about the nature and behavior of the belts, and revealed that the outer belt can split into two separate belts. With this first year of discovery and enhancements in operations as a cornerstone, the science teams of the Van Allen Probes (formerly named the Radiation Belt Storm Probes) are looking forward to unlocking further mysteries and advancing our knowledge of particle physics and the dynamics of space plasmas, as well as how to better protect space-based technologies like satellites. 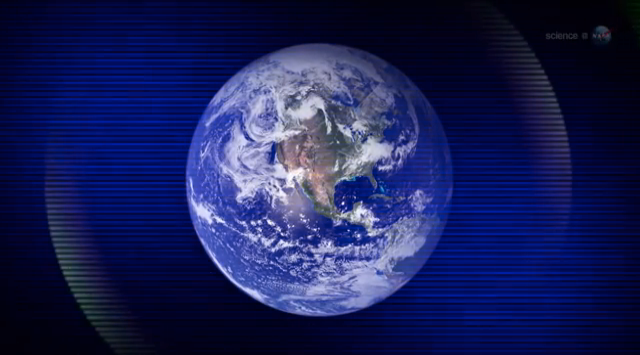 The radiation belts are two donut-shaped regions of highly energetic particles trapped in the Earth’s magnetic field – the inner, located just above our atmosphere and extending 4,000 miles into space; and the outer, from 8,000 to 26,000 miles out – and are named for their discoverer (as are the probes), the late James A. Van Allen of the University of Iowa. The belts’ makeup and properties have affected both spaceflight and physics research for the past 50 years, and the Van Allen Probes were designed to answer a number of fundamental questions about these harsh regions of space. The scientific successes for the Van Allen Probes began almost immediately after launch, starting with a discovery made when scientists turned on the Relativistic Electron Proton Telescope (REPT) instrument on Sept. 1: a new third radiation belt, formed at the interior of the outer belt. 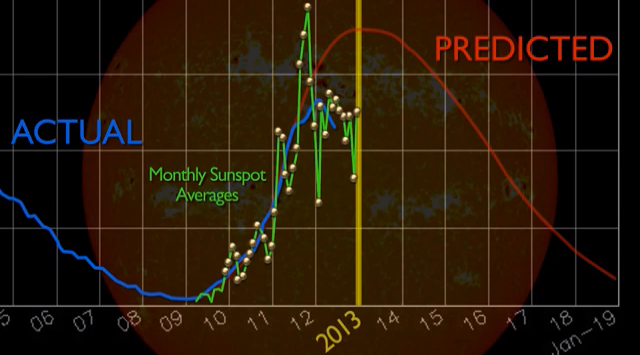 According to Dan Baker, REPT instrument lead at the Laboratory for Atmospheric and Space Physics (LASP) at the University of Colorado in Boulder, “a powerful electron acceleration event was already in progress, and we clearly saw the new belt and new slot between it and the outer belt.” The new belt was destroyed four weeks later by another solar storm – another new observation previously unavailable until the Van Allen Probes mission. The REPT instrument is part of the Energetic Particle, Composition, and Thermal Plasma Suite (ECT). Just a few days later, on Sept. 5, members of the Electric and Magnetic Field Instrument Suite and Integrated Science (EMFISIS) team made an audio recording of radio waves in the belts, at a frequency audible to humans, known as “chorus.” While scientists have known about chorus since the 1950s, these new high-quality recordings became known as “the sounds of space” and drew a great deal of interest around the world. Chorus is caused by plasma waves in the belts, and is suspected to be related to the process that accelerates electrons to speeds which can harm spacecraft and astronauts. One fundamental question the mission hopes to answer is how the particles in the belts are being accelerated to nearly relativistic speeds: Is it an external force, or is it happening within the belts themselves? On July 25, researchers published data from an early 2012 event that showed there is definitely an internal particle accelerator. "We have real evidence that the changes originate from within the belts themselves.” says Geoff Reeves, the first author on the paper and a radiation belt scientist at Los Alamos National Laboratory in Los Alamos, N.M. In fact, Reeves and other researchers are looking at the chorus waves studied by EMFISIS principal investigator Craig Kletzing (University of Iowa) and the EMFISIS team to see if and how chorus (or another type of electromagnetic wave) is behind the acceleration. “The Van Allen Probes are equipped with instruments that should help us figure that out as well,” Reeves says. One instrument, the Relativistic Proton Spectrometer (RPS), has been providing previously unavailable particle measurements of high accuracy within the heart of the inner radiation belts. “It’s hard research to do, and we’ve spent the past year exploring the inner belt and refining our understanding of the instrument response, because we’ve never had something like RPS in orbit before,” says The Aerospace Corporation’s Joseph Mazur, principal investigator for RPS. 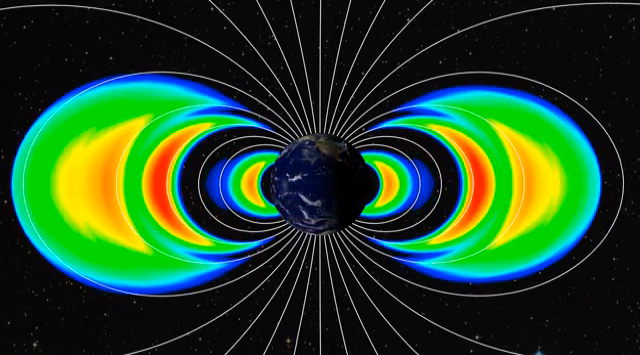 Findings from RPS have provided new insights into how energetic proton intensities change with position in the inner belt, as well as a look at how protons from outside the solar system gain entry to the Earth’s magnetosphere. The data will also play a role in the development of the next generation of standards and models used by the satellite community for building and shielding their spacecraft.